Algeria’s state media APS has reported that the country’s special forces launched a final assault on an Al-Qaeda affiliated group that had seized the Amenas gas processing plant near the southeast border with Libya. Algeria’s military says that the militant group, believed to be Al-Qaeda in the Islamic Maghreb (AQIM), had mined the refinery but that its forces still managed to rescue 16 hostages. APS said that militant group executed seven hostages before Algerian Special Forces killed 11 captors. 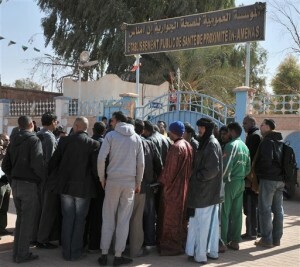 The Algerian military said that it had rescued 100 of 132 foreign workers seized since Wednesday. There was no confirmed information about the remaining 32 hostages, but many are believed to have been killed. A military source told that media that the army had discovered 15 burned bodies and was trying to identify them. The UK government has said that fewer than 10 of its nationals at the plant were unaccounted for. Foreign Secretary William Hague said finding the missing UK nationals would be his top priority but warned “we must continue to prepare ourselves for bad news”. UK Prime Minister David Cameron, who had earlier postponed a vital Europe policy speech because of the hostage crisis, said his Algerian counterpart informed him that the attack was large, well coordinated and probably preplanned. Details emerged late Friday of the attack, which began on Wednesday. A group likely working under AQIM first attacked two buses en route to the In Amenas airfield Wednesday, before attacking the plant itself. US Secretary of State Hillary Clinton has called the attack on the plant an “act of terror”.